REAL TRAFFIC, NO BOTS, NO VPN, NO SPAM!!! Keine Bots, kein VPN oder kein Spam . 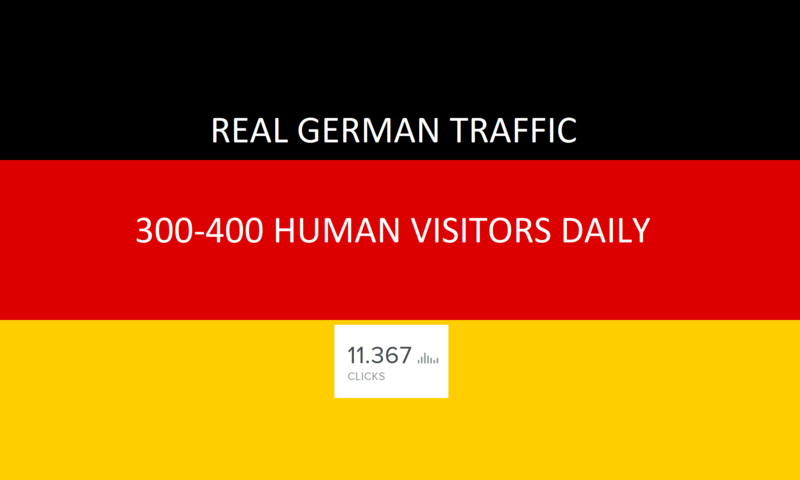 You will get direct and human visits / traffic from Germany only to your website or blog spread over aprox. 30 days.